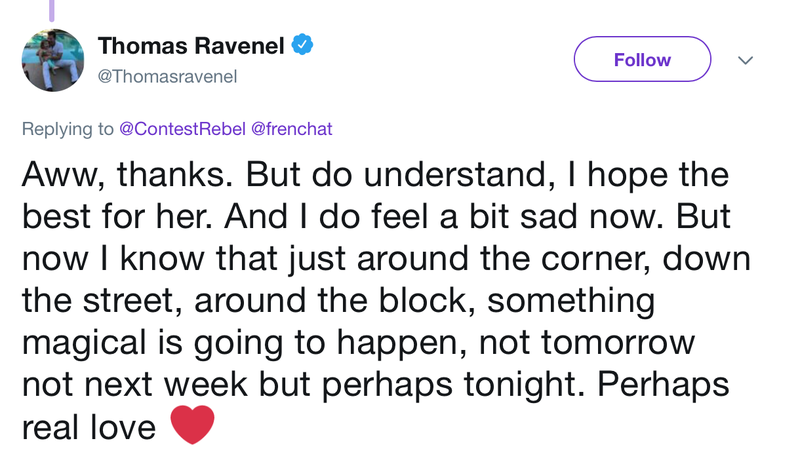 Lord, I cannot imagine how there is even ONE person in the world willing to date Thomas Ravenel or Ashley Jacobs, but now Thomas is implying that he and Ashley broke up because she cheated! Who on earth is this man?! JD?! He explained, “After 30 years I finally understand the lyrics from that wonderful Chicago tune: If she would have been faithful, if she could have been true, then I would have been cheated, I would have never known real love.” Do not despair, though, Thomas will recover from his heartbreak! “I hope the best for her,” Thomas continued. “And I do feel a bit sad now. But now I know that just around the corner, down the street, around the block, something magical is going to happen, not tomorrow not next week but perhaps tonight.” The magic is that we will no longer have to endure Thomas and Ashley on our TV screens! Unsurprisingly Thomas is not only single, but “ready to mingle.” Cause 80’s cliches are so Thomas. With both Ashley and Southern Charm out of his life, Thomas hopes to “perhaps” find “real love.” Um… women of the world, real love and Thomas are not copacetic. RUN. “I just laughed at it like, ‘Oh, God. So dramatic!’” Ashley scoffed. Thomas and Ashley’s, ahem, love has been plagued by scandals and rumors, including that she was a paid companion whom he hired to act as his girlfriend to terrorize Kathryn Dennis. It didn’t work obviously. After acting a literal insane fool on national TV, Ashley has since apologized to Kathryn for her awful behavior. Thomas meanwhile claims to have left Southern Charm in the wake of an investigation for sexual assault. TELL US – DO YOU THINK ASHLEY JACOBS CHEATED ON THOMAS?